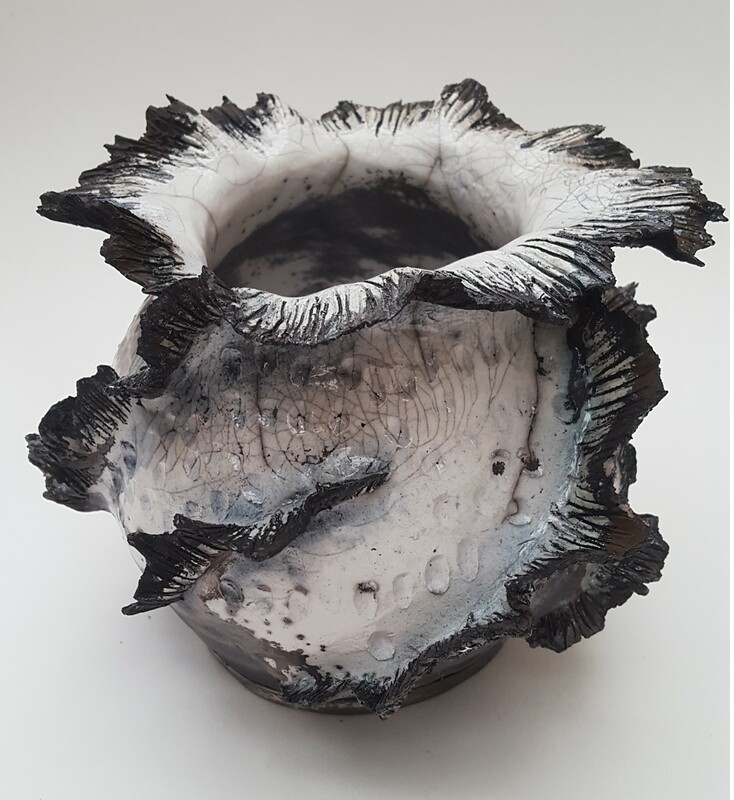 She calls each vessel she makes a ‘surprise me” because invariably they do, as most of her work is an experiment of processes. 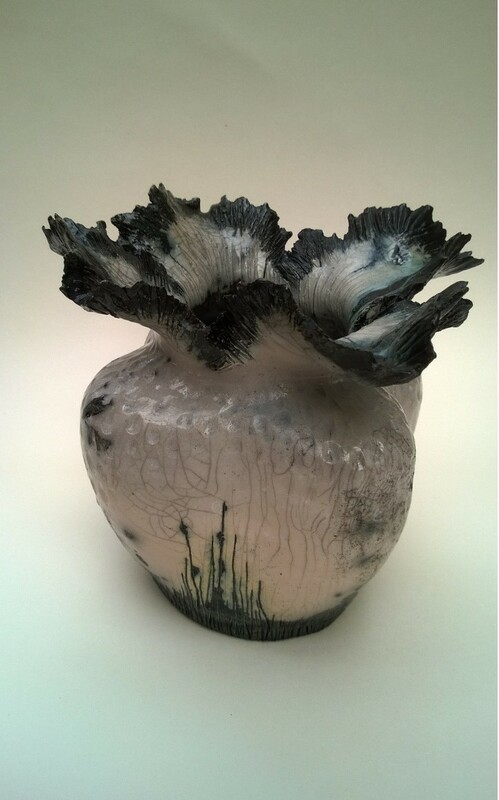 Recently, her main work has taken two paths. 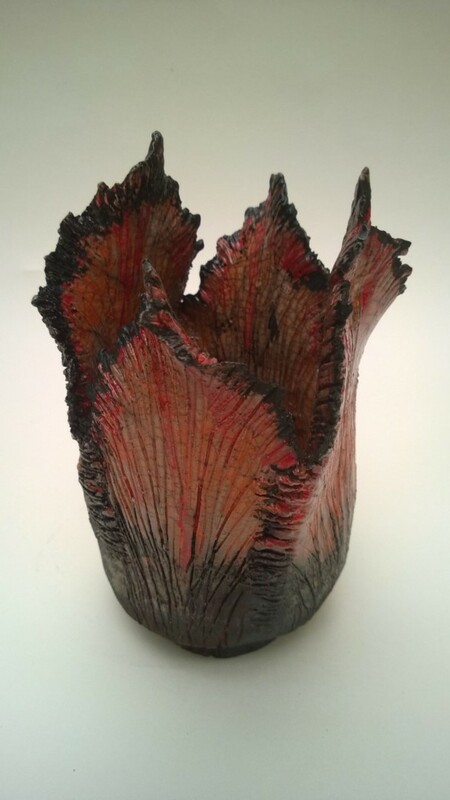 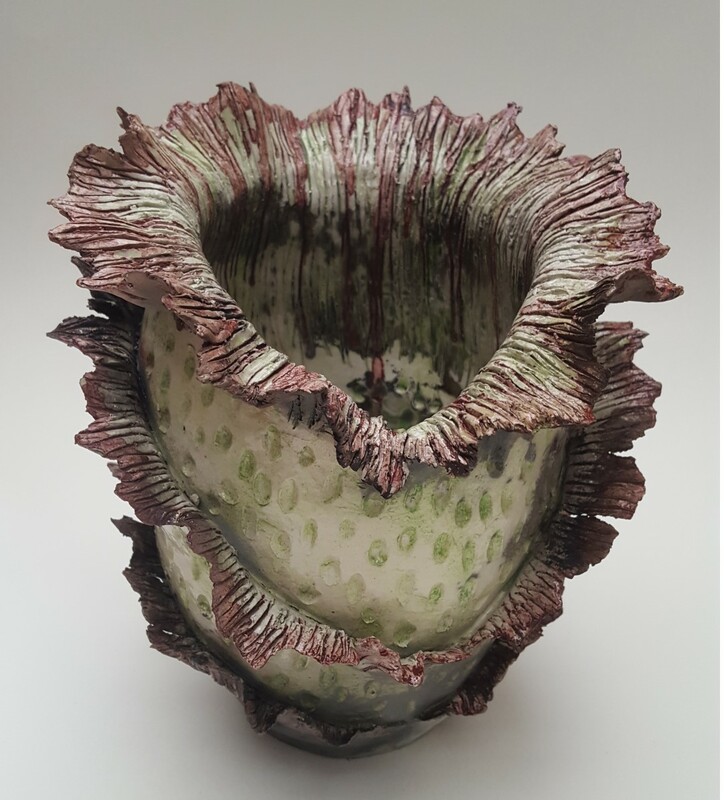 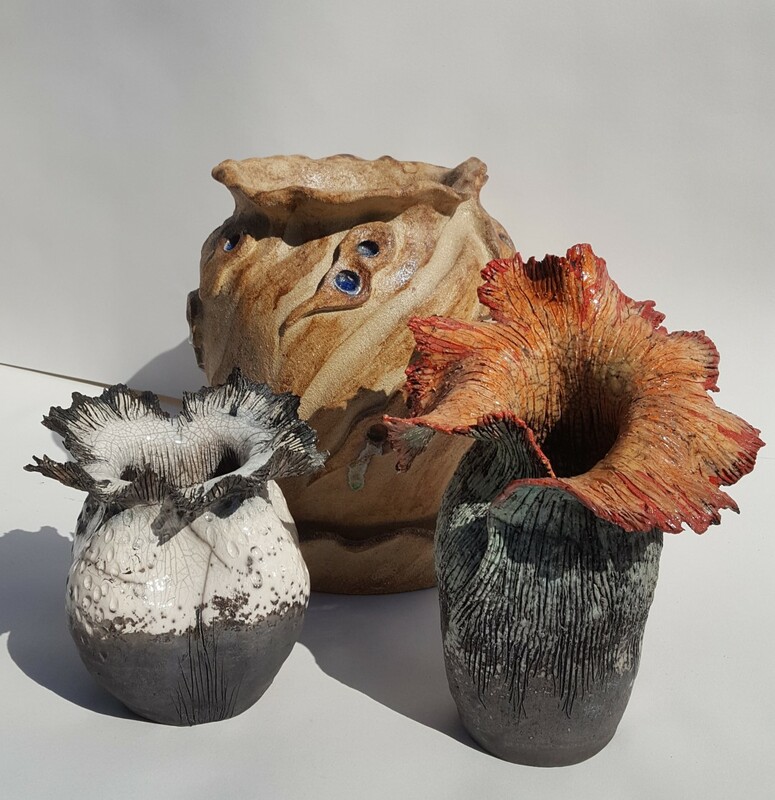 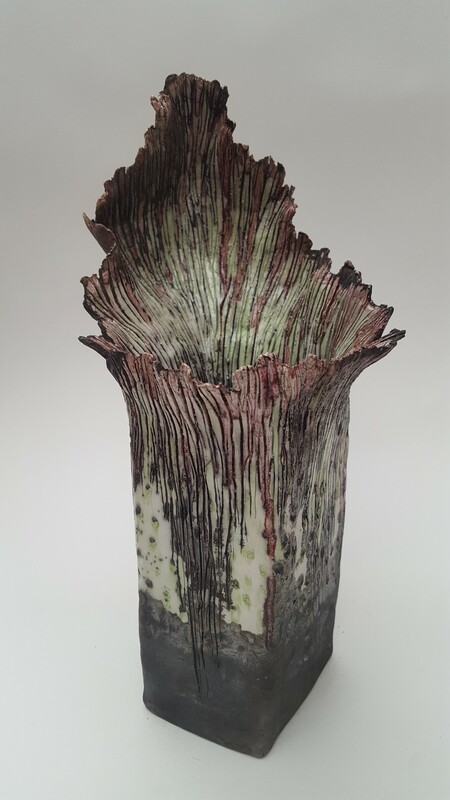 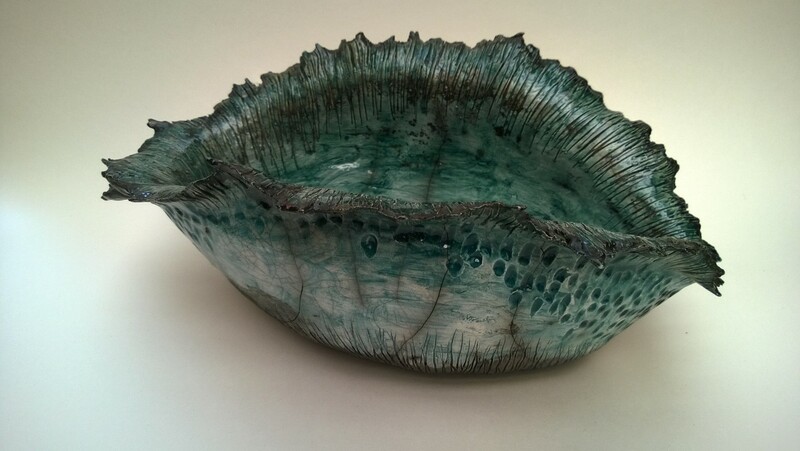 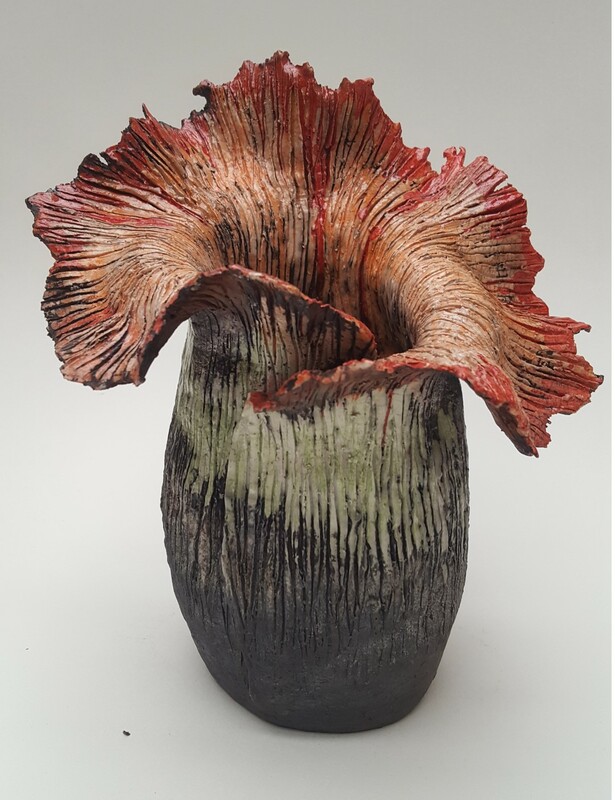 She is producing raku decorative vessels; her “triffids”. 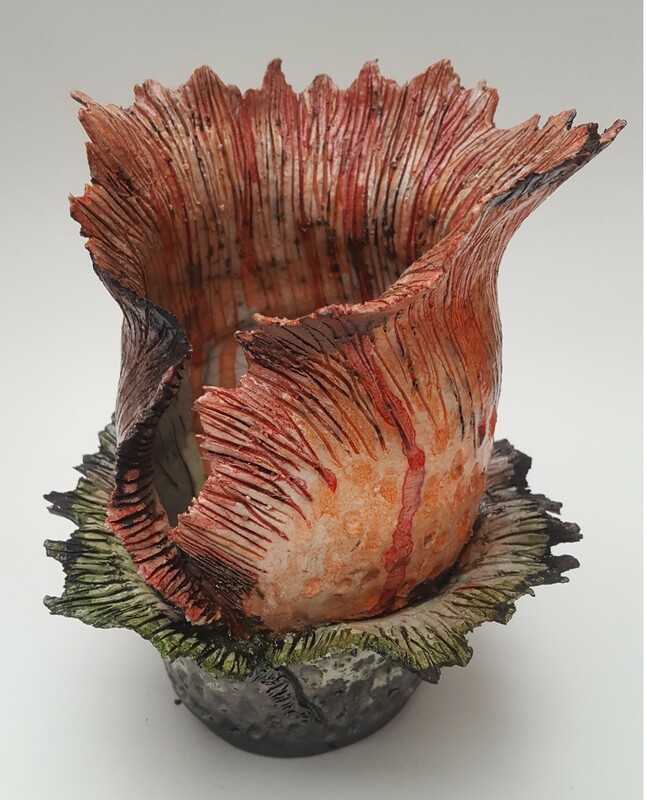 As well as experimenting with larger organic shaped outdoor pots. 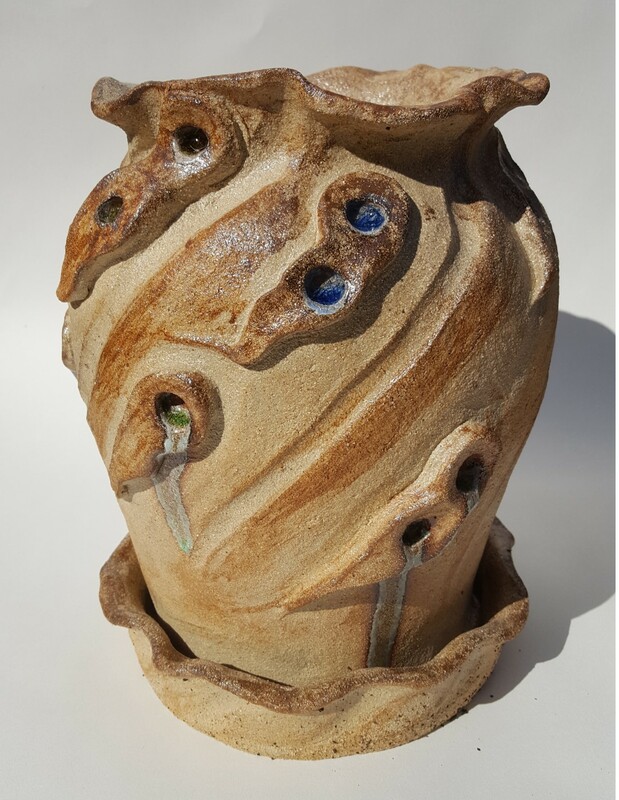 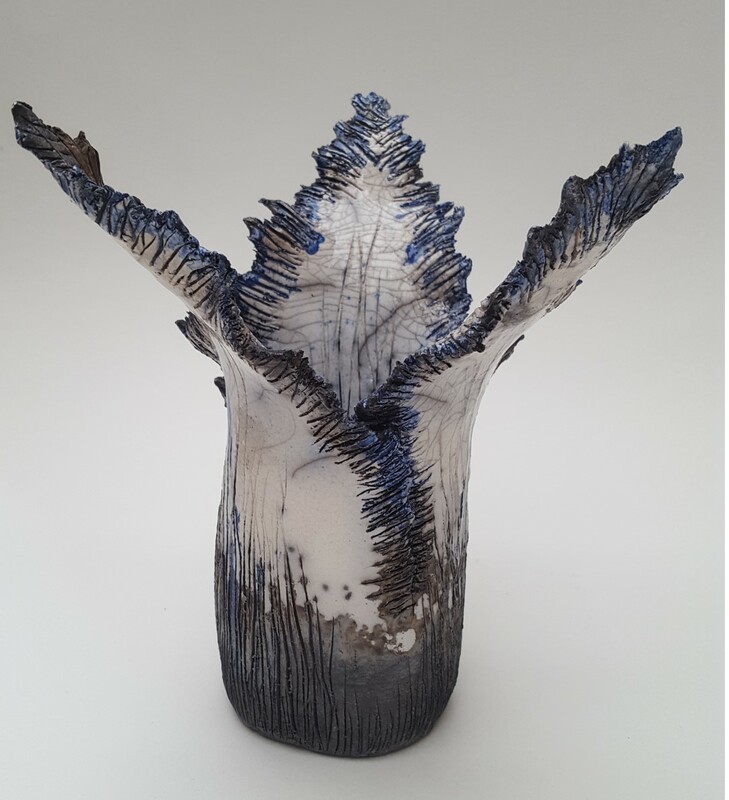 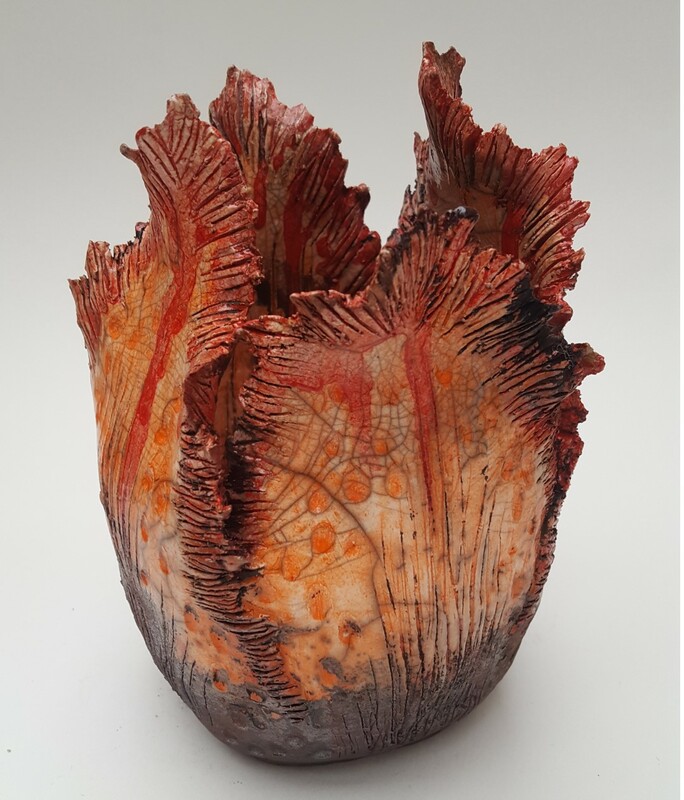 In the background, however, there is always the constant exploration of different techniques using new materials which make ceramics such a compelling adventure.